In Youn v 1427062 Alberta Ltd. , the Alberta Court of Queen’s Bench considered risk shifting in the context of a commercial lease. In this subrogated matter, the appellant landlord owned a commercial property that included the respondent’s pub, Red’s Pub, and neighbouring businesses. A fire broke out in Red’s Pub and the pub was destroyed. The fire caused damage to a neighbouring businesses. The landlord’s insurer commenced a subrogated action against Red’s Pub for the damage. Red’s Pub successfully brought an application to dismiss the claim. The Master concluded that the landlord was barred from advancing any action against Red’s Pub as the lease, when read as a whole, transferred the risk of loss by fire to the landlord. The landlord appealed the decision of the Master. On appeal, the Alberta Court of Queen’s Bench reviewed several clauses in the lease and found that the landlord assumed the risk of loss by fire. The lease specified that Red’s Pub was responsible for any increase in the cost of fire insurance caused by its conduct. The court held that this term implied that the landlord intended to carry fire insurance. In addition, the lease required the premises to be kept in good repair, except when there was damage from fire. The lease specifically required that Red’s Pub carry insurance against burglary, glass insurance, public liability, and property damage. There was no specific reference to fire insurance. Finally, it was provided in the lease that if Red’s Pub could not be repaired within 120 days of fire damage, then the lease would terminate. After reading all of the sections of the lease together, the court held the landlord impliedly agreed to obtain fire insurance for the benefit of Red’s Pub. As a result, the appeal was dismissed. 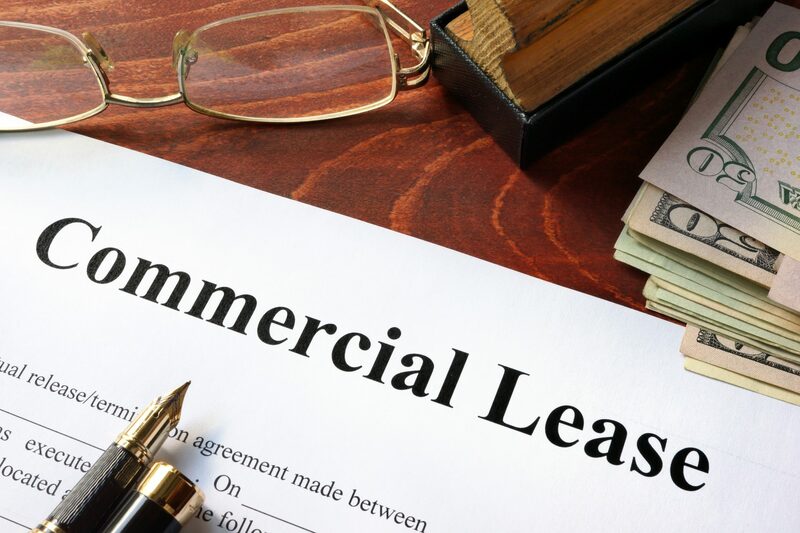 This decision underscores the importance of completing a detailed review of all leasing documentation in advance of pursuing a subrogated action. Youn v 1427062 Alberta Ltd. In Mabe Canada Inc. v. United Floor Ltd., the Ontario Court of Appeal weighed in on the standard of care in the context of contractual duties and industry practices. Mabe sustained damages when a drainage pipe that ran underneath a floor installed by United Floor caused a flood in Mabe’s warehouse. United Floor was hired by First Gulf to build the warehouse in 2004. First Gulf is not a party to the action. The flood was caused by two holes in the drainage pipe that ran below the concrete floor. At trial, Mabe’s alleged that the holes were caused by United Floor when installing the floor. None of the building drawings showed a drainage pipe in the location where the damaged pipe was found. In addition, the pipe was installed much shallower than it ought to have been under industry standards. The trial judge dismissed Mabe’s claim in negligence. The trial judge found that United Floor damaged the drainage pipe by puncturing it with a stake it used to brace its concrete floor. However, United Floor should not have anticipated that it was as shallow as it was. There was no reason for United Floor to be concerned that there would be a shallow pipe in the location where the damaged pipe was found. United Floor did not breach the standard of care. Mabe submitted to the Court of Appeal that the trial judge failed to take into account the United Floor’s contractual duties in determining the standard of care; erred in his foreseeability analysis; and erred in failing to determine whether relevant industry practice was itself negligent and should not have been followed. The Court of Appeal held that, although contractual duties may, in some circumstances, modify the standard of care that would otherwise apply, the trial judge’s findings precluded such a finding in this case. The contract required United Floor to notify First Gulf in writing if the subsurface conditions differed significantly from those specified in the contract. The trial judge found that United Floor should have been aware that a pipe ran underneath the floor, but he accepted expert evidence that the United Floor had no reason to foresee that the pipe would be at a shallow depth. As a result, the respondent’s duty to notify First Gulf under the contract did not arise. The trial judge was held not to have erred in his foreseeability analysis. He accepted expert evidence offered by United Floor that there was no reason not to put a stake in the ground at the subject location. It was the plumber’s responsibility to alert First Gulf to the shallow depth of the pipe and First Gulf’s responsibility to notify United Floor. First Gulf failed to do so. It was accepted by the Trial Judge that a flooring contractor would not have expected to have a pipe running through the subfloor at the position it was in. United Floor’s expert testified that drainage pipes would normally be set two to three feet into the subfloor, well below the reach of the 18 inch stakes used by United Floor. The trial judge rejected the Mabe’s expert evidence and found that there were no other factors that should have alerted United Floor to the possibility of puncturing a pipe. The Court of Appeal held that, although it is clear that conformity with standard practice in an industry does not necessarily insulate a defendant from a finding of negligence, as the Supreme Court explained in Neuzen v. Korn, , a practice will be judged negligent “only where the practice does not conform with basic care which is easily understood by the ordinary person who has no particular expertise in the practices of the profession” – only where it is “fraught with danger”. Mabe’s expert provided the only evidence supporting the submission that industry practice was negligent in this case. But it was rejected by the trial judge, who preferred the evidence of United Floor’s experts in concluding that the United Floor had no obligation to do more than it did to determine the location of the drainage pipe. There was no basis for the Court of Appeal to interfere with the trial judge’s decision concerning the expert evidence and the weight to be attached to it.